As we have seen with the acceptance of the gays, the embracing of social media as an important form of spreading awareness. Not only has social media been able to spread the word about issues, but it has made voices of those previously-unheard heard. About a year ago, after Prop 8 was repealed, I began to notice images on Twitter of celebrities and people that I followed change. They were sporting amazing, beautiful avatars by celebrity photographer, Adam Bouska. These pictures were simple, yet intriguing to the eye. They depicted simple images, white clothing, a duck-taped mouth, and a NOH8 tattoo on their body. These images began to circulate and create a buzz throughout the Internet. 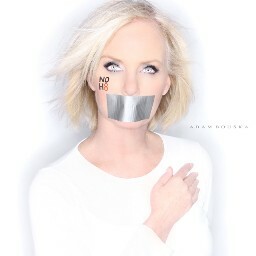 From Kim Kardashian to Jane Lynch and Kimberly Locke, celebrities seemed to all be jumping on the NOH8 bandwagon. Even controversial names in the news at the time were partaking in the photographs, including Cindy McCain, wife of the former presidential candidate, John McCain. The pictures were so impactful that they created a media buzz, spreading around the Internet like a wild fire. Adam Bouska even toured the country offering free photographs for supporters in New York City and other locations. This online campaign included images and videos that were going viral through Facebook, Twitter, and MySpace. This was the beginning, of what I saw, as the unity of people coming together to fight against the bigotry and inequality aimed toward the gay community. This was just a piece in the long term goal in the fight, that was an online sensation. Most recently, however, we have been plagued with some devastating news of teens that decided to end their lives because of the hate they felt. The month of October has been full of tragedies and people went to the Internet and social media to show their support to all the kids out there that were contemplating their lives. Again celebrities came to the masses and shared their messages, including Perez Hilton, Tim Gunn, Ke$ha, and Ellen Degeneres. Not only did celebrities share their thoughts, but regular, no-name people shared their support, words of wisdom, and advice for these youth. The videos hit the hearts of many as they circulated and this video from a Fort Worth City Council Man was one of the most heart warming videos ever. Finally, just this week another attack was reported at the first gay bar in New York City. I mean, come on people. We have seen how people have come together online to accept the issue and learn more about it, why can’t we bring that same sentiment offline?